Dubai: Dubai's Department of Economic Development (DED) confirmed on Thursday that a Dubai-based company, alleged to have duped hundreds of residents to the tune of millions, no longer exists even as more victims come forward with their experiences. 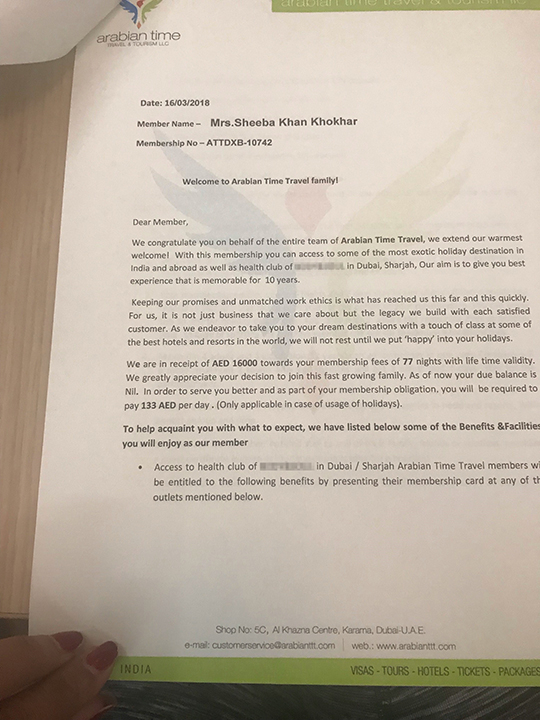 Residents caught up in the alleged scam case, first reported by Gulf News in September 2018, claim that they were sold fake time-share holiday memberships by a fraudulent tour company, Arabian Times Travel & Tourism LLC (Arabian TTT). According to contracts signed by the buyers the deal involves a life-time membership giving access to hotels and resorts in India and around the world. The fee varies from one buyer to another and is based on the number of days booked under the time-share scheme. 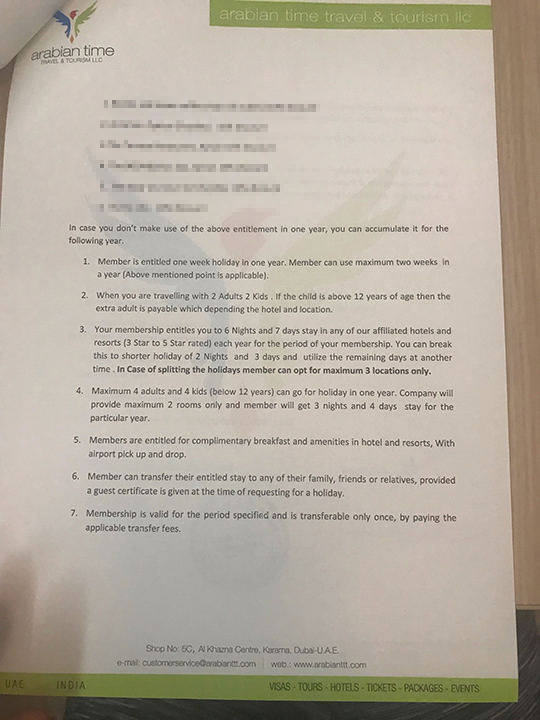 The membership also comes with discounts to a health club in Dubai, Sharjah and Ajman, a coffee shop and restaurant in Ajman and an optical shop in Dubai. It is estimated that at least 200 people lost over Dh4 million in the alleged scam. Two weeks ago, 30 victims met Gulf News to share their plight. In an email response to Gulf News on Thursday, Ahmad Al Zaabi, Director of Consumer Protection in the Department of Economic Development (DED) confirmed the company no longer exists. “With reference to your query on Arabian Travel Tourism, Dubai, the trade license of the company mentioned has expired and the company is not operating in Dubai anymore,” the statement read. DED’s senior official, on Thursday, further warned customers not to deal with companies whose licenses have expired as they are not allowed to conduct businesses until they renew their licenses. Al Zaabi said consumers should communicate with legal authorities concerned for cancelling their contract or to request for a compensation / refund with the concerned company. Indian expat Rajesh Mehta, who works as an IT manager, said he paid Dh6,000 in February 2018 for a 30-day time-share package with Arabian TTT. “More than a year on, I am yet to avail of any of their offers. An Indian businessman from Dubai, Anand Jeswani, said he lost Dh8,500. 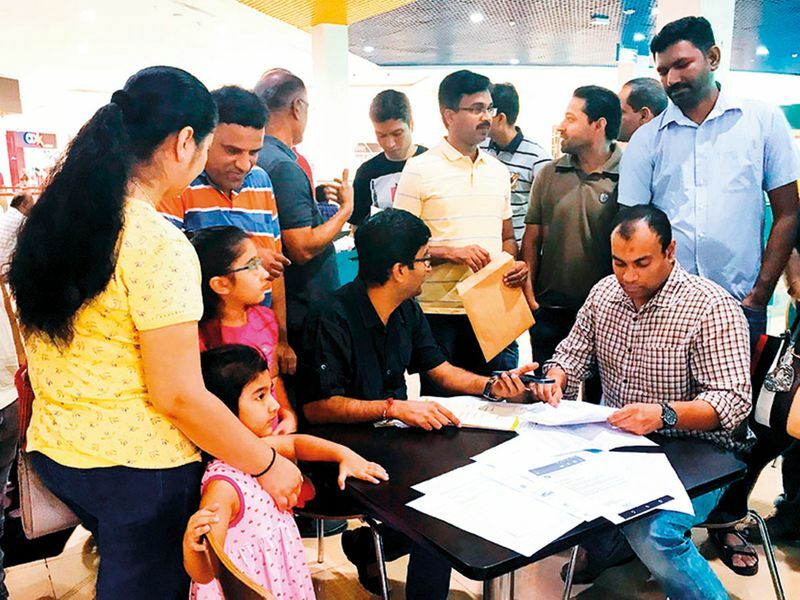 “Neither are they honouring the contract nor are they refunding our money,” said a fuming Jeswani, who is calling upon authorities to do the needful to refund customers their monies. In response to one of the complainants' emails, DED representatives said that since the matter was outside of their jurisdiction, affected consumers could resort to legal action through the Dubai Courts if they so wished. Sheeba Khan Khokhar from India, said that she is contemplating taking up the matter with DED to refund her Dh16,000 she paid for a 77-day membership. Another victim Abdul Shakoor said he tried in vain to book his holiday package. "The company did not get back to me on the package I had booked. They kept doing a back and forth with me and we got nowhere. Then they asked me to do my own booking and send them the invoice and that they will reimburse my money, which I did. But to this day I have not been reiumbursed the money. Of course I have also lost the money which I paid the company for my holiday scheme which is several thousands of dirhams, because of internal issues,” he said. A copy of the email to the victim read: "We regret to inform you that due to non-availability, and the heavy volume of bookings as discussed, company cannot honor this time request, with in the budget of Dh300-400 including (amc 133)... You can book the holiday from your end and and submit the bills so that company will reimburse the bills with in 30-45 working days, Thanks for your cooperation, Your cooperation is highly valued..."
According to Gaurav Gandhi, a victim, people are lured into sharing their contact details by setting up kiosks in malls. “The way it goes, Arabian Travel Time & Tourism sets up kiosks in malls across Dhabi, Dubai Sharjah and Ajman. Passersby are handed a voucher and asked to fill it giving details of their email and telephone number. The victims are literally lured into filling vouchers giving details of their email and telephone number at the company’s kiosks set up in malls across the Emirates,” said Gandhi. “During the session people are not allowed to use their mobile to check the company reviews. The staff play loud music in the background and do not let you discuss the package with your family or friends. The staff constantly hover around you forcing you to sign the contract. Payment is made upfront and in full,” he said. Gandhi said both the company’s office in Bur Dubai and Karama are closed. Gulf News contacted Arabian Times Travel & Tourism for a comment, but there has been no response yet. The Department of Economic Development then said it had launched an investigation into the complaints against the time-share company accused of duping residents. “Consumers should ensure they are dealing with a licensed company, review their products and services quality, and take enough time comparing the product, service with other companies,” Al Zaabi warned. 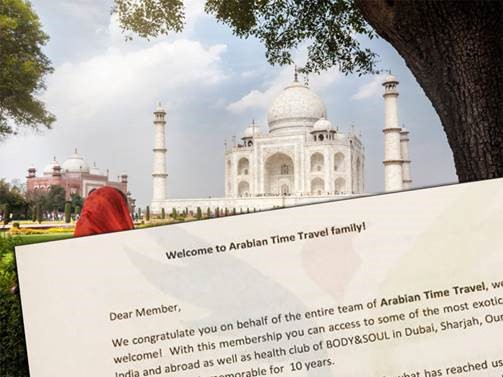 An earlier response from Arabian Travel Time Travel & Tourism LLC sent in September read: “We respect the news & print media and so we want to provide accurate and true information…. We are unable to make full payments on refunds this month …. We request our valued members to be patient for some more time and believe that the amount invested and contributed for membership with Arabian Times will not be lost…We stand by our valued members …please have ‘trust in us’. We hope to start refunding amounts from October 10 onwards.